Blogger’s Note: I know I’ve been silent for the past few weeks. My post explains why. When a crisis hits, priorities change, and what happened required so much of my time and energy that social media fell by the wayside. Not anymore. Three weeks until the post-op appointment. No sitting upright for long periods. No twisting. No bending. No leaning. No driving for one week. The nurse tending to my husband after his surgery for a herniated disk clipped off those commands to my husband. And to me. It sounded like a prison sentence to me. A necessary one. In early June, Steve had herniated his disk, leaving him at first in severe pain and then simply numb and weak in his left leg. We knew it had to be done, and we knew we had to take the recovery period seriously. 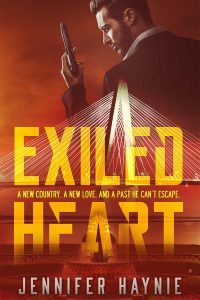 I’d landed the role as caregiver, and I saw my freedom slipping away. Three weeks seemed impossible. Yes, I admit it. I’m selfish in a lot of respects. We split the household chores. Now, everything fell on my shoulders. I’m not a big cook. Now I had to do it. He’d done morning pup feedings of our two Basenjis. Now, I had to rise earlier than I liked. Oh, and I still had to work full-time. I quickly discovered how caregiving can drain energy, change a life, and even potentially destroy it. Caregiving can be stressful. Even outpatient surgeries require caregiving. Simply the thought of being responsible for Steve not having complication daunted me—and stressed me. When Steve came home, it worried me so much when his face pinched as he rose from the bed. I did the one thing I knew I could do in that situation. I prayed for wisdom. God saw me through that worrisome first night. I learned that I needed to get my own sleep, get out of the house, and take care of myself through exercise and eating right. This coming week, now that he’s doing better, that’s exactly what I’m going to do. Caregiving can be lonely. After someone comes home from surgery, the caretaking may be intense that first week, both from post-op care and taking on all household duties that had normally been split. Any free time goes out that window, and that includes social interaction and time simply to relax. It’s been hard for me. Our household responsibilities shifted significantly onto my shoulders. Any downtime I had disappeared. I fell into bed wiped out. I missed that social stimulation I normally get at the office. I’ve learned to let others help. We’ve had several visitors. It’s been good for our souls. It also enabled me to have some social intraction. A caring neighbor brought supper one night. That took one less thing off my plate. I’m thankful for the care and concern exhibited by others. Caregiving can serve as a great teacher about the true meaning of love. Oh, so true. Most marriage vows have “in sickness and in health” in them. I think many of us take the health part for granted, and then when sickness occurs, it throws us for a loop. Face it. We all age. We will all have times when we have to care for someone who is ill. Through this experience, I’ve learned that caregiving is truly sacrificial love in action that can draw us loser to others if we let it. If anything, I think Steve and I have drawn closer through this. They say experience is the best teacher. This time in our lives has certainly shown that. I’ve definitively learned the value of love in action not just through caring for Steve but also through the care shown for us. I’m thankful to report that he’s made tremendous improvement and is mending well. It’s grown the both of us, and I hope we’ll carry forward what we’ve learned through this experience. Question: For those who have been in the caregiver role, what have you learned from your own experiences? Posted in My faith, My life, On-the-Edge Living. 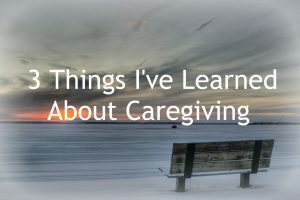 Tags: 3 Things I Learned About Caregiving, Caregiving, Jennifer Haynie, surgery on July 29, 2018 by Jennifer Haynie. I’ve had more opportunities to be a caregiver than some. Its easy when it’s a loved one. I always put myself in their shoes and how would I want to be cared for. My husband had similar surgery and I just wanted to make him comfortable and be sure we controlled his pain. One of my sisters who battled cancer was in and out of the hospital. It was more stressful when I worked outside the home because I couldn’t be there 24/7. When she was at Duke I traveled every day after work 40 min. to be with her for a month because she had no one else. Did I break down and cry under the worry and stress? Yes. Would I do it all over again? Yes. But only with the power of prayer was I able to get through the difficult days. Great insights, for sure. Thank you for sharing. Prayer is central.